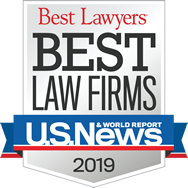 The attorneys at Strassburger McKenna Gutnick & Gefsky have helped individuals and businesses resolve legal matters in court since 1919, but the Western Pennsylvania firm has also been engaged in alternative dispute resolution (ADR). Several SMGG attorneys have experience as ADR neutrals (mediators and arbitrators). They have also represented clients in ADR since the concept became more popular locally in the late 1990s as a less costly litigation alternative. Attorneys Michael Fox, E.J. Strassburger, Alan T. Shuckrow and Harry F. Kunselman offer services as ADR neutrals. Many courts require ADR in certain circumstances. For example, ADR is mandatory for all civil cases filed in the United States District Court for the Western District of Pennsylvania. Other courts are following suit. Even state court judges who are managing cases may require the parties to attempt mediation or arbitration as part of the case management. The attorneys at SMGG are well prepared to guide clients through all parts of the ADR process. Non-judicial methods of ADR include, but are not limited to, mediation, collaborative law, arbitration, and early neutral evaluation (ENE). Mediation — With the help of their lawyers, parties to a dispute work through their issues before an objective third party mediator who facilitates a settlement. The mediator is often a neutral attorney or former judge who is not otherwise involved in the case, but a mediator need not be an attorney. Collaborative law — The parties and their lawyers meet to work out issues, calling in psychologists, accountants, or other professionals as required to reach agreement on various aspects of their dispute. Arbitration — Sometimes parties have a provision in their contract that requires disputes to be resolved by arbitration. Even if such a provision does not exist, the parties can voluntarily submit their dispute to arbitration. Typically, a hearing is held, the parties present testimony and evidence, and the arbitrator decides the dispute. Typically the result is final, binding, and not appealable. In some instances, however, the arbitration result may be appealed, depending on the parties’ agreement. Early Neutral Evaluation — Before embarking on protracted and expensive litigation, it is sometimes beneficial for parties to ask a neutral third party (typically an attorney or former judge) to evaluate their case on a confidential basis and provide their analysis to both parties for consideration. This is called early neutral evaluation (ENE). ENE can sometimes bring parties closer together in their negotiations after they hear the strengths and weaknesses of the case from a neutral third party. Strassburger McKenna Gutnick & Gefsky understands the time, economic, and emotional benefits of ADR and always considers ADR when evaluating a case. Our experience in litigation not only makes our attorneys valuable counselors when it comes to developing strategy and negotiating, but also means we stand ready to represent you if your best efforts to reach a compromise fail and the matter escalates. Contact Harry F. Kunselman at hkunselman@smgglaw.com or Gretchen E. Moore at gmoore@smgglaw.com today to reserve a consultation.